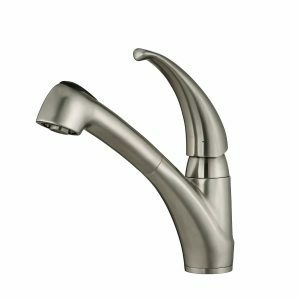 If you want to buy a kitchen faucet which will meet all your requirements, turn your attention to stylish and reasonably priced Kraus KPF-2110. The single handle system offers various functions and makes usage hassle-free. It is manufactured entirely of stainless steel, thus it perfectly resists rust and corrosion. The faucet has a very attractive design and will look amazing at the top of your sink. The KPF2110 model possesses a number of impressive and useful characteristics. The tap is 11 inches high and its spout has 9 inches reach. The design is so universal, that it will ideally fit both kitchen and bathroom. The water tap provides a consistent smooth water flow, which has two modes – stream and spray. There is a rubber button on a sprayer head to switch between modes. If you turn off the faucet, it will remember the last mode you used. 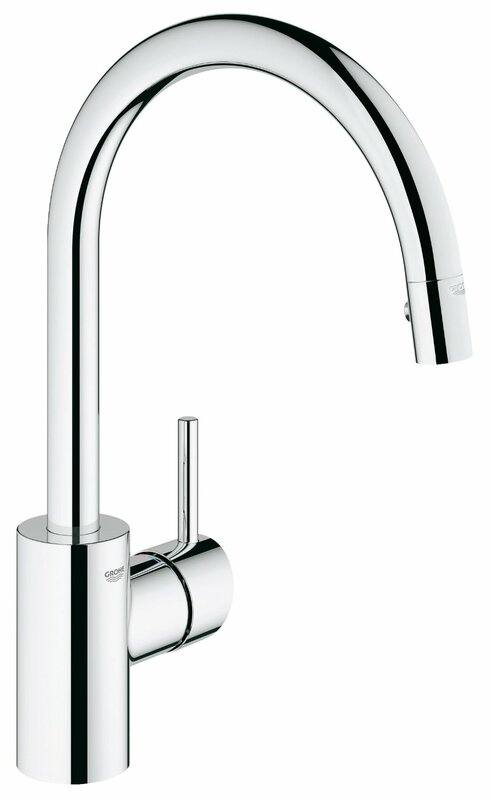 The KPF 2110 has an elegantly curved lever, which can be adjusted in accordance with desired temperature and flow. 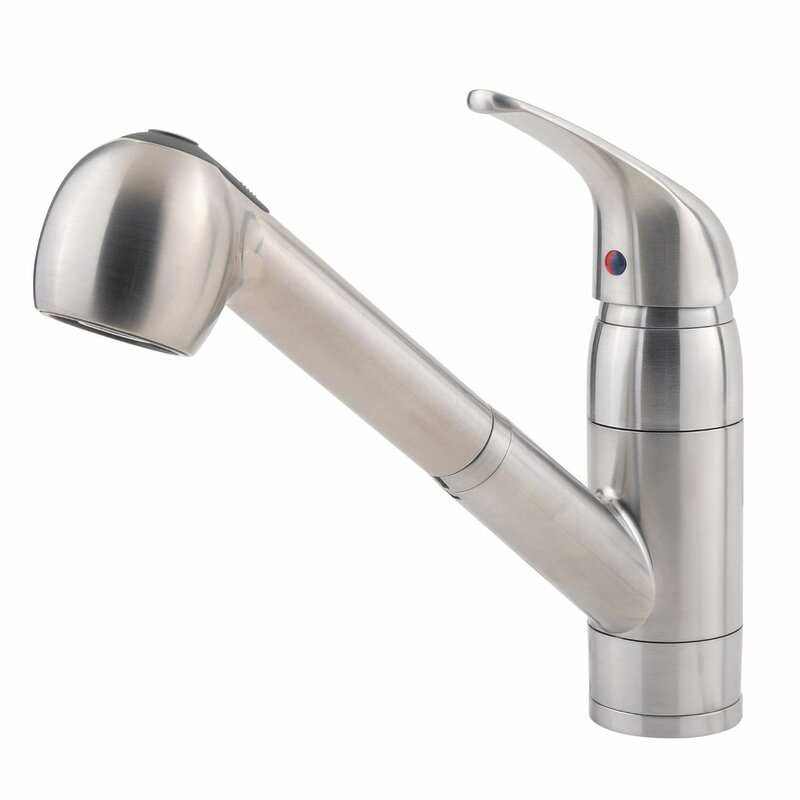 Customers who purchase KPF-2110 usually buy Kraus soap dispenser as addition. Both products match each other and look very harmonious. If you are worried about holes in your sink, you might be interested in escutcheon, which can perfectly improve the outlook of your sink area. The KPF-2110 from Kraus is an energy-efficient faucet as it provides 1.8 gpm (gallons per minute) water flow. The pull-out hose is 63 inches and is equipped with magnet docking system. When you are done with your washing, just press the button on the spout top and the spray head will slip back into its place. The hose is made of heavy high-quality materials and provides powerful water flow without splashes. The sprayer head is made of the premium T304 steel. The spout swivels 180° giving you enough space to wash big pans. 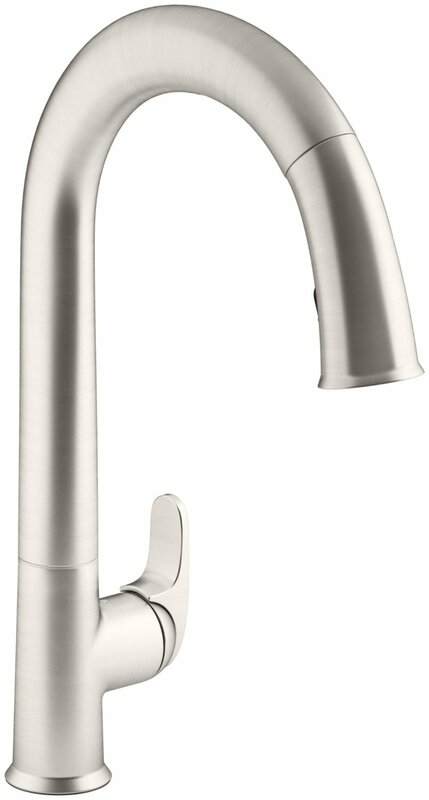 The KPF 2110 is one of the prettiest faucets today. Its gleaming steel construction and a silver finish will match every kitchen or bathroom. The tap will look harmonious with granite, quartz or limestone countertops. 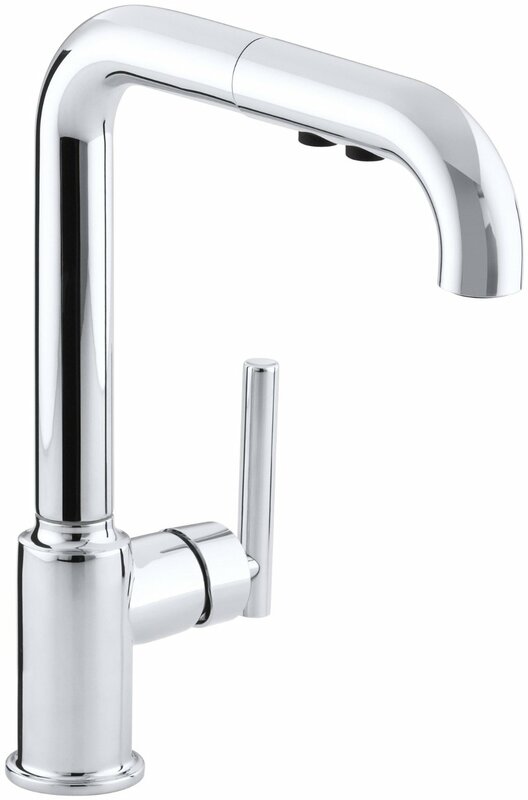 A faucet cartridge fulfills the most important task of delivering good handle operation and a smooth water flow. It works under pressure of 60 pounds per sq. inch and should operate throughout its term of service without leaking. A broken cartridge is the main reason of a faucet failure. 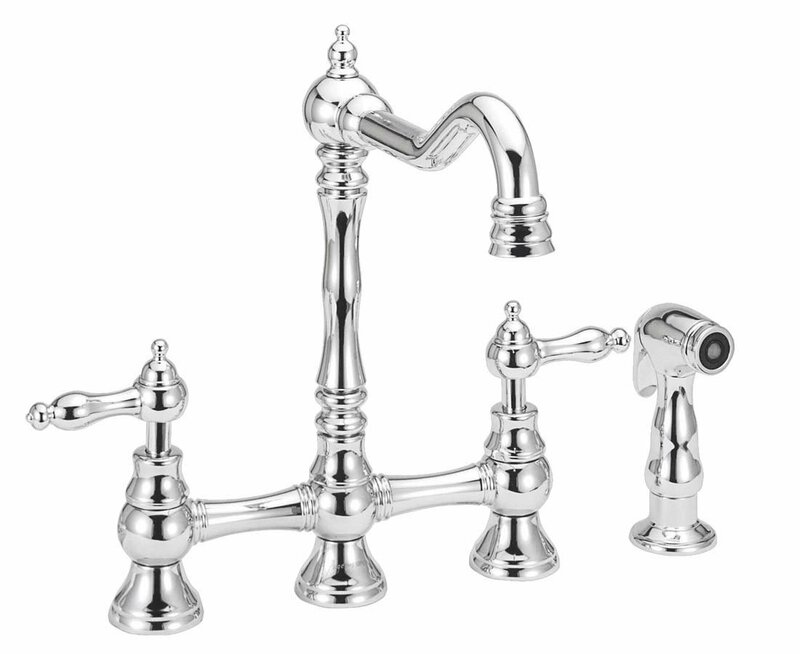 Kraus is a reputable company, which provides the most reliable plumbing fixtures possible. That is why the cartridges for their faucets are imported from the world’s premium manufacturer – Hungarian Kerox. Aerator is the plumbing component, which has multiple functions: softens the stream, prevents splashing, controls water delivery. Kraus recognizes only the best components, thus imports aerators from Switzerland. By the way NeoPerl is world’s well-known aerators’ manufacturer. 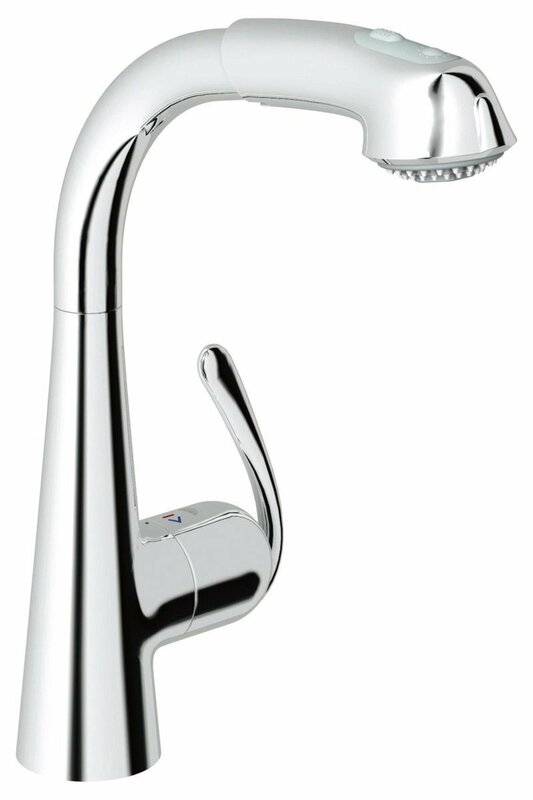 The KPF-2110 water faucet is constructed to be accessible, easy to use and install. 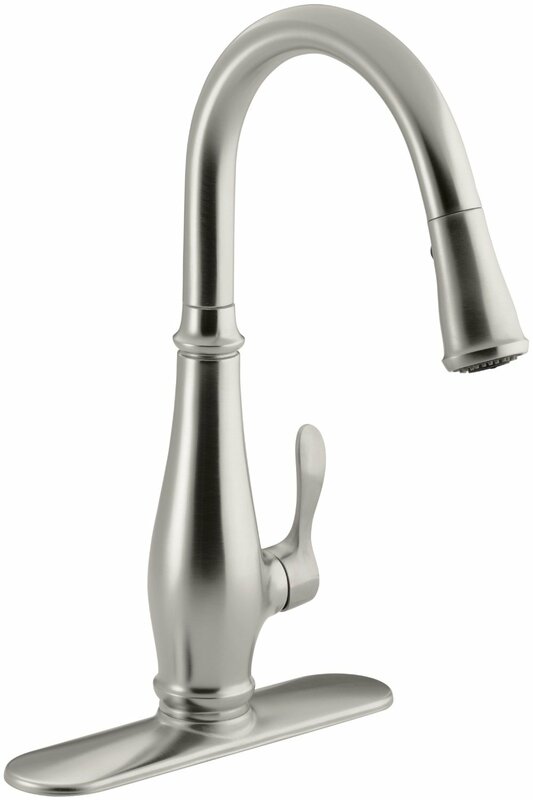 The tap is ergonomic with a flexible and long hose, which makes dishwashing a pleasant task. Moreover, you have no need to call a plumber, as a single-hole mount is so simple to install that even a non-professional can cope with it. All the hardware and materials are included in the package. 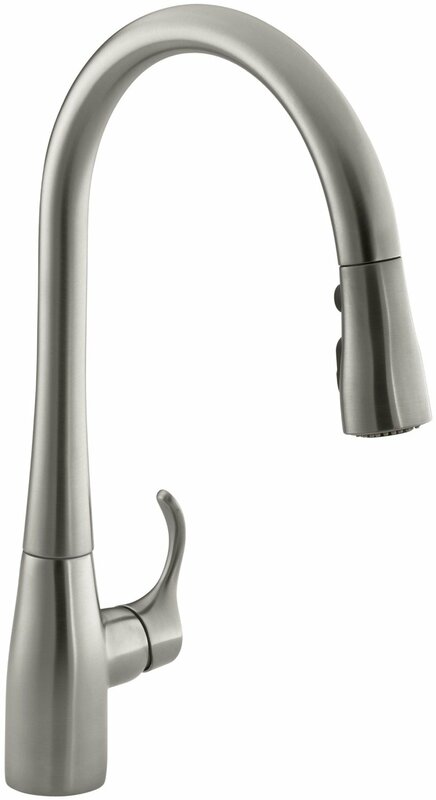 If you are tired of replacing or repairing your kitchen faucet on a regular basis, Kraus KPF-2110 is definitely your pick. 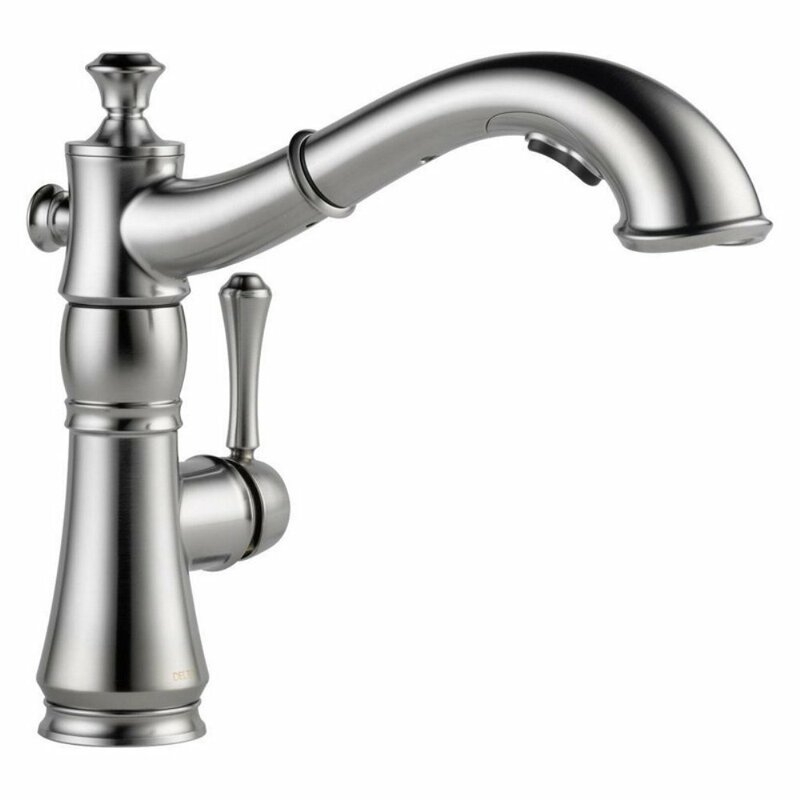 This tap will operate flawlessly for decades, as it is constructed of high quality metal with premium innards. Each Kraus kitchen faucet is both functional and durable. KPF-2110, like all the other pieces of Kraus plumbing equipment, undergoes numerous tests to ensure its reliability. Created by the experienced designers, this tap belongs to the elite in the world of kitchen equipment. 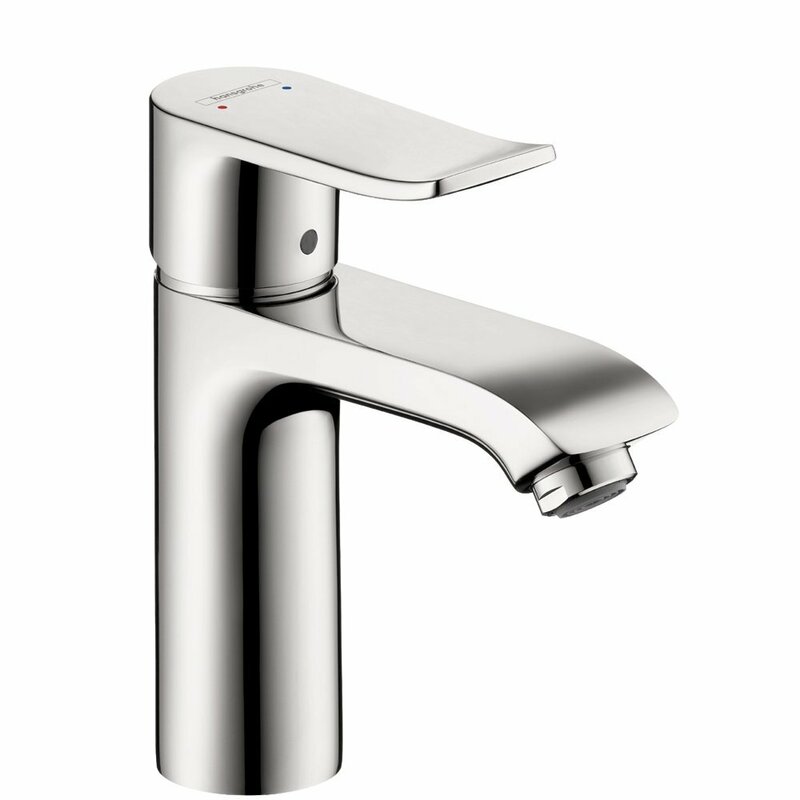 The Kraus faucets are certified by all the main testing boards in North America. That means that the plumbing equipment is proven to be safe and that it satisfies all the requirements of building codes. Here is a list of several certifications providing organizations: ADA, cUPC, UPC, CALGreen, NSF, FTCetc. 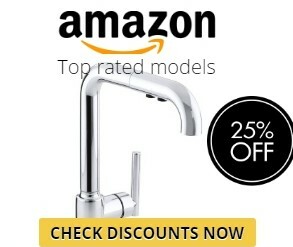 The perfect thing about this faucet is that it is given a lifetime guarantee. Although, there are some restrictions regarding the warranty. The KPF-2110 is not designed for commercial use. The warranty covers private residences only. To install Kraus KPA-2110 you should have a deck of 2.5 inches thickness maximum. The hole should be 1.37 inches to install a tap on your basin. The process is easy but if you have no plumbing experience at all, it is better to contact a professional. The Kraus KPF-2110 faucet has a number of advantages which save both time and money for its owners. The model is durable, its innards are imported from the best world’s manufacturers and its design satisfies the most sophisticated taste.